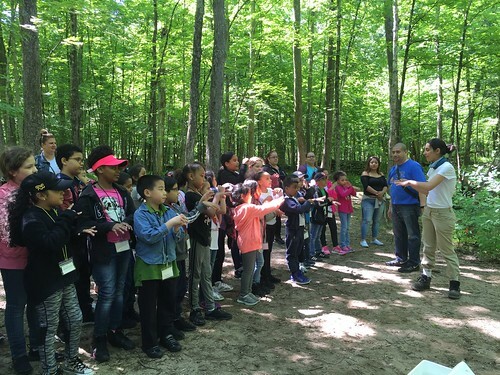 The New York City Department of Environmental Protection (DEP) today joined Trout Unlimited and 2nd and 3rd grade students from Brooklyn’s P.S. 250 George H. Lindsay to release juvenile trout that the students have raised in their classrooms since October of last year. Fingerlings were released into the Cross River where it passes through the Ward Pound Ridge Reservation in Westchester County before feeding into New York City’s Cross River Reservoir.